Reports of "faulty" GPS, "buggy" multitouch, "jittery" scrolling and an ecosystem that "still lags iOS" weren't enough to stop Google's latest Nexus 7 from getting a stellar review on par with Apple's iPad mini. In part, that's because some of the issues hadn't surfaced when The Verge awarded Google's new Nexus 7 a 9/10 score in late July, a tie with its review score of Apple's iPad mini. 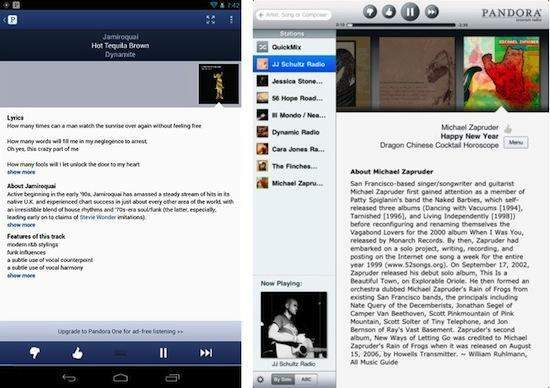 The refreshed Nexus 7 review did note jittery scrolling and a lagging ecosystem of apps, however. David Pierce wrote that "somehow Google still can't figure out how scrolling animations work, so the Play Store is as jittery as ever  but there's no question that the Nexus 7 is one of the fastest, smoothest Android tablets I've ever used." That's not exactly high praise, given that the majority of Android tablets are no-name "white box" devices with underpowered processors that sell for as little as $40. Pierce also noted that "the Android app situation has improved a lot, but it's still squarely in the iPad's rearview mirror. From Paper to Clear to Badland, it's no contest." However, "outside of that discrepancy," he wrote, "the Nexus 7 is a better tablet than the iPad mini." 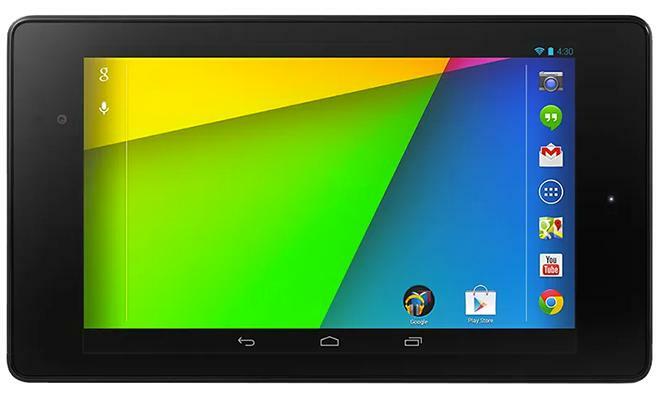 Google's Asus-built, Android-powered Nexus 7 suffers from what you might call the Amiga Syndrome: cheap hardware with notable features but a dearth of quality apps. You could also call it an Atari ST or an Acorn Archimedes or a BeBox, or compare it to any number of other computers that didn't run the software the mainstream market wanted and subsequently aren't around anymore. While Apple focused on making sure its tablet had iPad-optimized apps on the day it shipped, Google has relied on providing tools to stretch Android's smartphone apps to fit larger screens. That's allowed hardware makers to experiment with a wide variety of screen sizes, ratios and resolutions. But it hasn't resulted in a good selection of tablet-optimized apps, a particular problem for important tablet markets such as education and the enterprise. Without native apps, Google might as well sell tablets running its ChromeOS, where software is an enhanced webpage. In fact, Google's lack of commitment to Android apps and Android form factors relative to its investment in ChromeOS versions of the MacBook Air, MacBook Pro, Mac mini and Apple TV suggest that Google has a much greater affinity to its web-based platform than to its Java-like smartphone platform. Apple even wrote its own first party iPad apps to set a high bar for its third party partners to aspire to, including iBooks and a suite sophisticated productivity apps it released alongside the original iPad (Pages, Keynote and Numbers, $9.99 each) followed by iPad-optimized releases of GarageBand and iMovie the following year, for just $4.99 each. 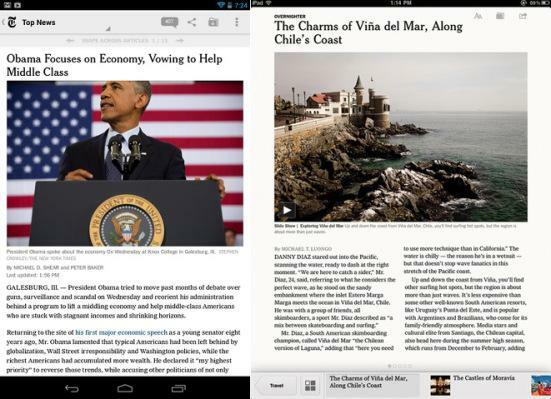 Writing for Time, Jared Newman observed, "Google should take the lead and make some killer Android apps like these. 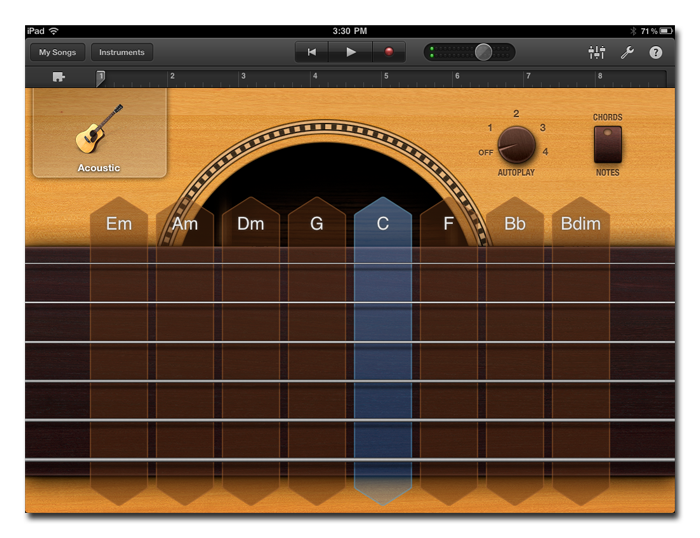 Both iMovie and GarageBand are excellent apps that help justify the iPad as more than a consumption device, and theres really nothing that comes anywhere close on Android." He added, "Some apps that claim to be tablet-friendly are just barely so on Android. The New York Times, for instance, gives you a sidebar of extra stories when you browse the front page in landscape mode, but when youre reading a story, you dont get the iPad versions lovely column view and story teasers." Even worse, he noted that while "many of the most popular iPad apps are available for Android, but they arent always designed to take advantage of the extra real estate of tablet displays. Twitter, Facebook, Dropbox and Pandora are the worst offenders, stretching out their interfaces instead of filling the screen with sidebars and menus." As a platform in competition with Apple, Android is often compared to Microsoft Windows. But the primary reason why Windows became successful and ubiquitous in the 1990s was that it offered a wide range of virtually any kind of software users wanted or needed. Windows' expansive software offerings included many exclusives that were only available for that platform, or which offered significantly better or more frequently updated versions of apps that only made their way to other platforms much later or in feature limited versions. And of course, Microsoft also offered key first party titles of its own, most notably Office. Those are circumstances associated today with iOS, not Android. 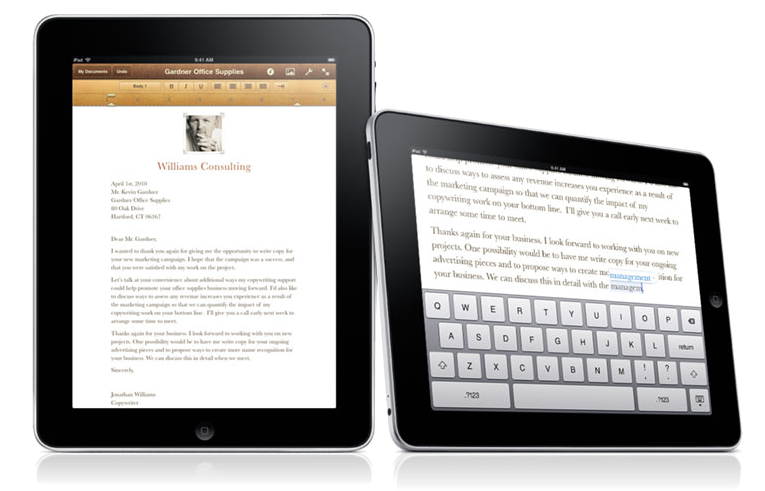 Limited software offerings are not the only issue differentiating it from Apple's iPad however. Within a couple weeks of the Nexus 7's release, CNET reported that Google's new Nexus 7 was "plagued by a GPS glitch," explaining, "the GPS signal works for a certain amount of time, anywhere from 2 to 30 minutes, and then it simply conks out, leaving the user without a connection." It added, "Google is apparently aware of the problem and is investigating." This week, Engadget reported, "some users are also reporting issues with multitouch" on the new Nexus 7, again citing a response from Google stating, "the Android team is aware of this issue and investigating." The report included a user's YouTube video depicting the multitouch sensors going haywire while tracking just two finger points. While Engadget hoped that the situation could be rectified in a software update, a report by The Full Signal added that users have noted the Nexus 7 "touchscreen only becomes problematic when it's laying on a non-grounded surface like a sofa or a coffee table. Some have also mentioned that the issue doesn't seem to be present at all when the tablet is plugged in." After the The Verge published its 9/10 review, John Gruber of the Daring Fireball noted, "Last years Nexus 7 got an 8.8 from The Verge, yet most people, including The Verge, now agree it was a turd." 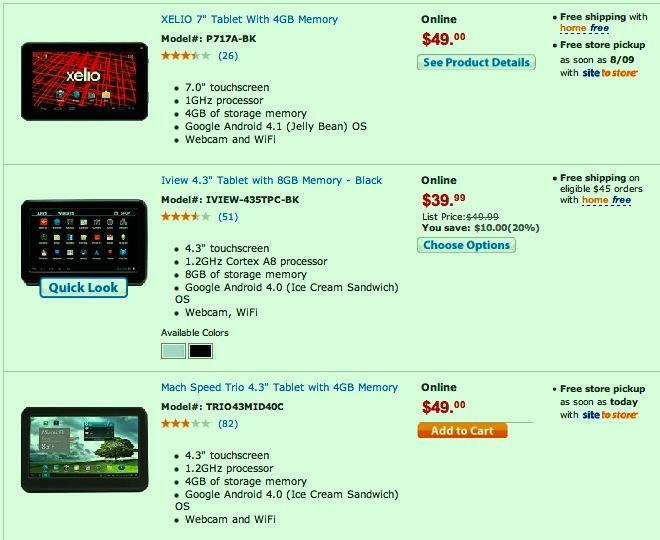 In June, less than a year after the original Nexus 7 was released, AppleInsider described buyers' frustrations with it. As Dustin Early of AndroidAndMe observed, "I cant find one person who has been using the Nexus 7 for an extended period of time, and hasnt seen a massive downgrade in performance." In a piece titled, "One year later, the Nexus 7 has gone from the best to worst tablet Ive ever owned," Early stated, "I cannot pick up my Nexus 7 without experiencing problems like a lag of ten seconds, or more, just to rotate the display," describing issues with "touches refusing to [be] acknowledged; stuttering notification panel actions; and unresponsive apps." Originally thought to be related to batches of bad memory, the issues were eventually revealed to be a combination of defective hardware and unfinished software. One Android developer described a known "bug in Samsung's flash controller firmware." Google itself later floated a new version of Android 3.2 capable of properly supporting TRIM commands required to manage solid state storage, an issue that months had rendered many users' Nexus 7 "just a shell of its former self," and "an embarrassment to Google," in the words of Early. Reviewing the product for The Verge last year, Joshua Topolsky, wrote, "Google's Nexus 7 isn't just an excellent tablet for $200. It's an excellent tablet, period."